For other uses, see Andrew (disambiguation). 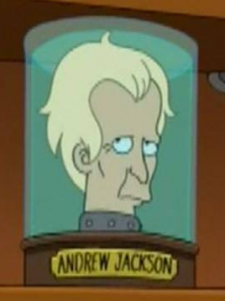 Andrew Jackson was the president of the United States from 1829 to 1837. In the 31st century, he resides at the Head Museum, New New York along with the other former U.S. presidents. This page was last edited on 21 December 2014, at 15:33.